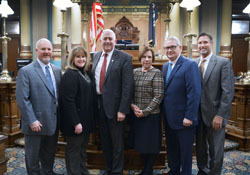 LANSING, Mich. — State Sen. Ken Horn, R-Frankenmuth, welcomed a diverse group from the Saginaw area for Gov. 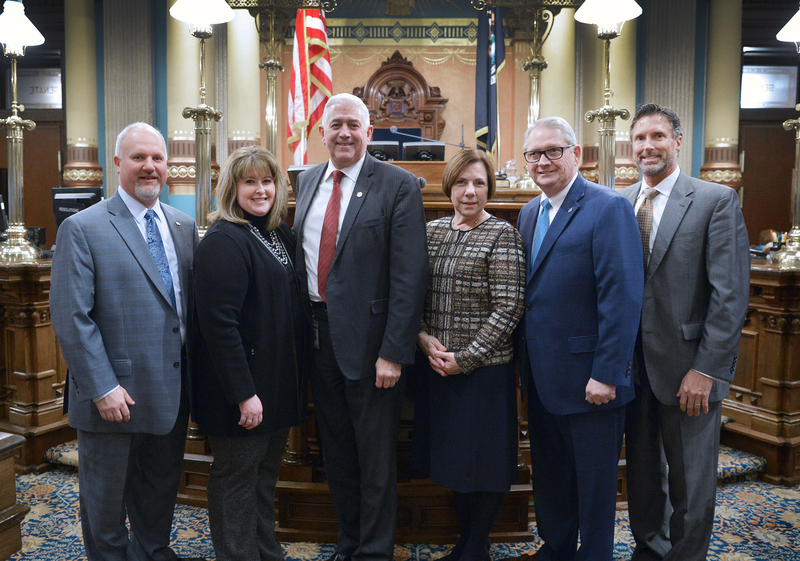 Rick Snyder’s 2018 State of the State address. Horn was joined on Tuesday by Saginaw Valley State University President Don Bachand and his wife Liana (right center); Heather Gallegos, community relations Michigan operations for The Dow Chemical Company (right center); Kraig Schutter, partner and owner at the Masud Labor Law Group (right); and Rodney Wakeman (left), vice president and funeral director of Wakeman Funeral Homes.